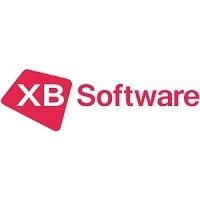 XB Software is a full-cycle custom software development and testing company from Eastern Europe. We have 9 years of experience in turning our clients’ business ideas into successful web solutions. We have a strong and trusted team of 100+ IT professionals engaged in web & mobile app development, business analysis and quality assurance. XB Software provides solutions that fully meet customers' requirements. We are ISO27001 and ISO9001 certified. Our expertise is proven by over 150 successfully completed projects throughout the globe and a lot of satisfied clients in USA, Canada, UK and EU countries. Key industries: Logistics, Education, Business Services, Financial Services, Information Technology.